Let Giant Invitations assist you with assembling your own DIY wedding invitations by offering a discounted pockets-only option, which allows you to create your own inner cards to suit any style. 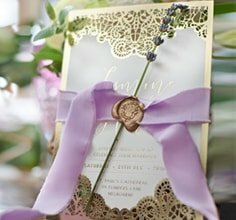 Finding a flawless wedding invitation to formally invite your guests to your ceremonial celebration can be difficult and time consuming, but with the freedom to create your own inner cards you’re in complete control of the final product look, with assurance it’s completely unique to you! Manage your wedding budget by purchasing our discounted intricate laser cut and fully assembled pockets, created from top quality paper stock that’s diligently designed to impress your guests. Giant Invitations have a range of affordable pockets accompanied with matching envelopes in which you can purchase to add your own personal flair. Simply order the invitation pockets from us. You will be provided with the outer encasing, featuring all the special embellishments as per the photo and sample. All you have to do is choose your favourite design and your preferred quantity; based on the unit cost we’re willing to give you $0.60 off per pocket based on the invitation prices. Our prices start from as little as $1.65 per pocket and with such a huge stylish selection (along with many added elements) to choose from, creating your DIY wedding invitations couldn’t be easier! Add a touch of sophistication with our complimentary detailed seal stickers for the completion of your stationery package. With fantastic results already emerging from previous customers, now is the time to start infusing your originality with Giant Invitation’s designs and start customising your perfect wedding invitation! What will be included in your DIY Wedding Invitation kit?